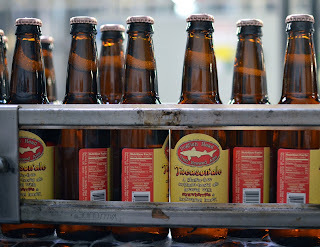 Delaware's Dogfish Head Brewery has long been an innovator in America's craft beer movement, so when the company announced last summer that a new certified gluten-free beer would be released in 2012, the gluten-free community took notice. Tweason'ale - which will begin to hit shelves nationally later this month - is the brewer's first 12-ounce four-pack in nearly five years and will retail for about $9.99, comparable to the company's other four-packs. 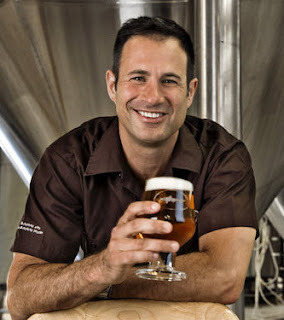 In this "Dishing With..." segment, Dogfish Head's founder, Sam Calagione, talks about the development of Tweason'ale, its taste profile, and how to enjoy this seasonal release throughout the year. 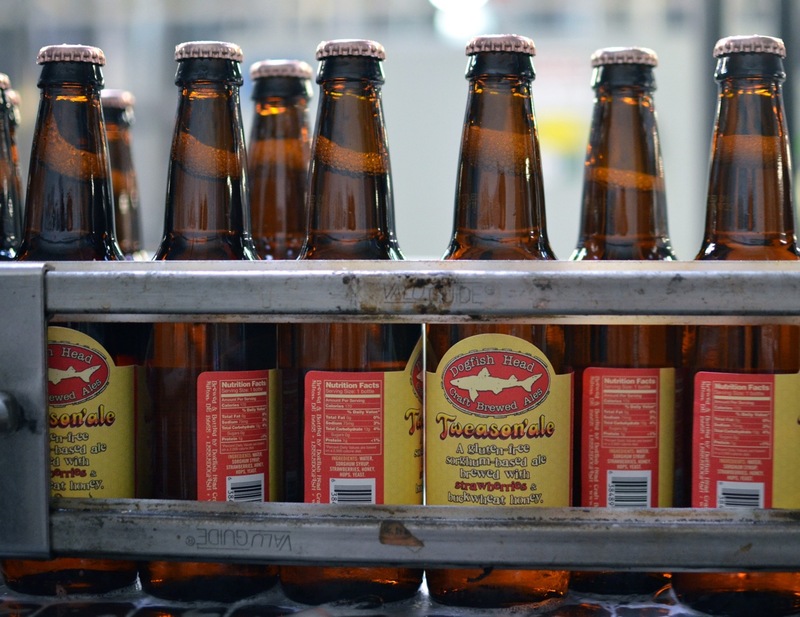 What prompted Dogfish's development of a gluten-free beer? The number-one request we got last year was for an off-centered gluten-free beer that didn't taste like it was a standard lager beer base ingredient approach. Dogfish is known for its non-traditional beers. What makes Tweason'ale different from other gluten-free beers? The recipe. I think we are the first company to combine buckwheat honey - which is super dark and malty and in that way boosts the complexity and beer-essence - strawberries, sorghum and a bit of hops. How did you settle on Tweason'ale's profile? We wanted to make something complex, fruity, malty (but not made with malt) and champagne-esque that also just happens to be gluten free. How much of a learning curve was there to develop a beer that doesn't contain gluten? A bit more elaborate than our normal R&D [research-and-development] process. We made three test batches before we did the first big production batch. Did you speak with gluten-free beer drinkers along the way? Just incidentally, as we did the test batches and put them on at our pub for feedback. We have never done focus groups or formalized outside tasting panels. We trust the palates of our co-workers and our regular customers more than we would a room full of MBAs. What kind of response did you get when you had Tweason'ale at the brewpub last summer? Really good. The first batch was a bit too bitter because we didn't expect the sorghum itself to contribute bitterness, so we dialed back the hops. Will Tweason'ale appeal to beer drinkers that don't have to avoid gluten? So far it does seem to appeal to a really broad range of people, both wine and beer drinkers alike. It doesn't have a lot of hop character but it has malty notes and fruity notes and great complexity. It also pairs very well with spicy foods and chocolate. Why did Dogfish decide to pursue gluten-free certification? It cost us many thousands of extra dollars to certify but we want customers to have confidence we did this the right way. What's the idea behind releasing Tweason'ale at various times of the year? It comes in four-packs and every bottle has the date it was packaged inked onto the the neck of the bottle. We believe this beer is best drunk within four months of the bottled-on date. By releasing it quarterly, people who dig it can stock up four times a year and never run out. We don't have the ability to brew it any more frequently because demand for our other beers is so much higher than our brewing capacity and our ability to supply. How will you measure whether Tweason'ale is successful? We encourage people to give us feedback online, when visiting at our pub [in Rehoboth Beach] and brewery [in Milton], and events throughout the country where we pour this beer. We hope people will use the Fish Finder page on our website and hunt down Tweason'ale and give it a try! LOVE LOVE LOVE!!! I can't WAIT to try it! Always drank dogfish before this darn gluten intolerance! Can't wait to try it! Having Dermatitis Herpetiformis (related to celiac disease) and being on a gluten-free diet has made it difficult for me as a beer drinker. Excellent. I now have something to complement my Green's (another kind of gluten free beer - I like the Dunkel best). I can't wait for this to come out in Central Texas. Good stuff folks I am having one now!